In protest, Zakaria announced today that he will embark on a food and fluid strike, in effect a death fast. Unless the Palestinian Authority can be pressured to release him, he will probably not survive through the week. 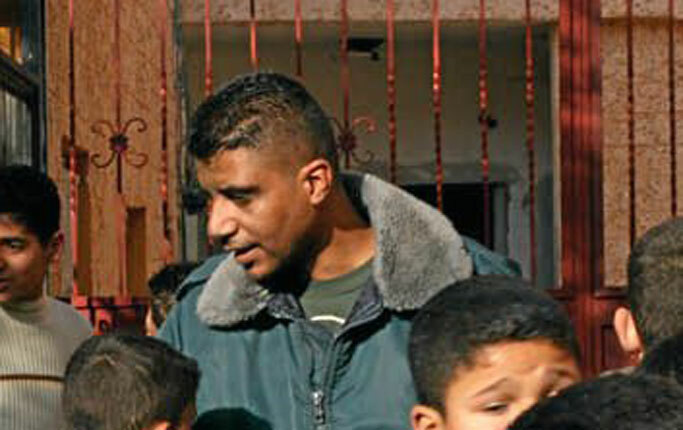 Throughout his imprisonment, which is illegal by international law, his rights has been severely violated, as detailed by Human Rights Watch, among others. Some background (Human Rights Watch press release, July 27, 2012): In May 2012 the Palestinian Authority (PA) arrested Freedom Theater co-founder Zakaria Zubeidi, held him incommunicado, and allegedly tortured him. It arrested his defense lawyer in July. The theater’s director and co-founder, Juliano Mer-Khamis, an Israeli citizen and activist, was killed in April 2011. Since the killing, Israeli occupation forces have repeatedly raided the theater and beaten and arbitrarily arrested employees. Israeli authorities claim that they suspect theater staff of involvement in Mer-Khamis’s killing, but have not charged anyone with the crime, and have not provided any evidence to support their claim. The Palestinian Authority appears to be abusing the theater’s staff because of the company’s criticisms of the PA’s rule. Productions of the Freedom Theater have often criticized the Israeli occupation of the West Bank, as well as abuses by both Israel and the Palestinian Authority. Like Zakaria Zubeidi, some staff and acting students are former members of Palestinian armed groups who renounced violence in favor of non-violent opposition to Israeli and PA policies. Human Rights Watch declared that the arbitrary arrests and detentions should cease, and allegations of mistreatment should be investigated. – Contact the local representative office of the Palestinian Authority and demand Zakaria Zubeidi’s release. Since the situation is urgent we also ask you to take more direct actions such as organizing protests at PA representative offices. – Contact local or regional human rights offices and organizations such as Amnesty International and urge them to take action. – Contact your local MP and MEP and urge them to take action. – Contact your country’s representative office in the occupied Palestinian territory and urge them to take action. Thank you for the alert, Michael. Here in Leeds I will contact our MP and will also seek out how to contact the London office of the PA and raise the appalling treatment of Zakaria there. My partner Viv will be raising it with Amnesty International where she is a member. Thanks for these initiatives, Alan. Just posted an update on Zakaria, who is still in danger.